In 2017 Birmingham and Solihull Sustainable & Transformational Partnership commissioned Women & Theatre to develop a new production called PHYLLIS, which to date has engaged over 1000 people. 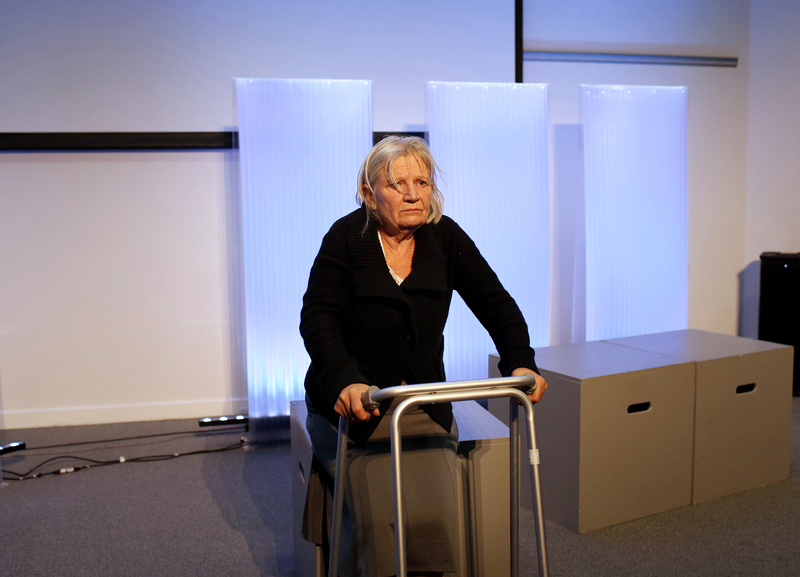 Developed from research with patients, family members and health & social care professionals, this impactful theatre piece presents the story of one woman and her family navigating the complex system of older people’s care. Peppered with true stories of working that isn’t joined up, the piece highlights the need to form seamless cross-organisational partnerships, to work better together for the best interests of our populations. The show toured across Birmingham and Solihull performed to health and care professionals, followed by a discussion about the issues raised with groups collectively identifying improvements to systems to better the experience for patients, families and health professionals alike. This autumn we are touring to NHS settings across Warwickshire as well as presenting the piece at Healthwatch’s National Conference and a staff development day for Newton Consultancy. If you work for an NHS Trust or care provider and think PHYLLIS could help your organisation examine issues around older people’s care and system change please contact us at info@womenandtheatre.co.uk. Listen to our Artistic Director Janice Connolly talk about being Phyllis and how her story is helping to improve health and care services for older people. Janice was interviewed by Liz Keley, one of the producers at HCRFM. We would like to thank Liz and the team at HCRFM for allowing us to share their recording here.